The man slowly, ponderously climbed the last few steps to the top of the rise. As he had feared, the glow on the horizon proved to be more than the sunrise. Even from this distance, he could tell that Sydney burned. Without realizing it, he slowly released the makeshift spear from his hand. It landed with a dull clatter and rolled a short distance away. He had done his part. Even when modern munitions ran out, he had found a way to fight on, but this meant the end. The rest was gone already. Maybe it was for the best. He slowly sank to his knees, numb…and then the sobs came. Shoulders shaking, he let himself collapse completely. Let them come. It was over. 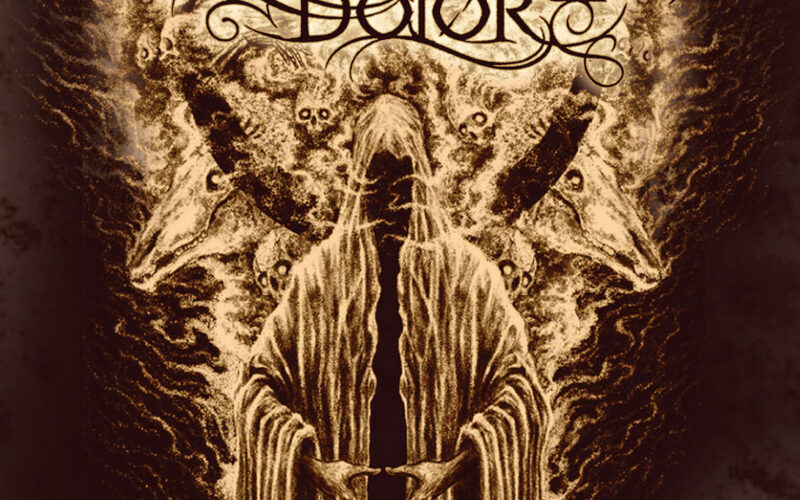 Leaden Light marks the second full length release of Australian atmospheric death/doom collaborative Illimitable Dolor. Their self-titled debut arrived in 2017 to much acclaim. It failed to hit all the right buttons for me, but I’m not a huge fan of this style, so I’m a tough sell when it comes to death doom. I did like it. I just didn’t love it. Two years later, the band provides a new masterpiece however, and I’m all over it. They have matured in both composition and atmosphere. All of the little detail pieces that weren’t quite there in 2017 are all there now. Leaden Light drops in mid-March and will send tidal wave ripples throughout the known (metal) world. What makes it so exceptional? Let me provide an example. Once you are able to do so, hit play on Horses Pale and Four. Let the pain seep into your consciousness. At about the four and a half minute mark, pay attention to the rolling riff in the background, half hidden in the fog of the atmosphere. Masterful! This is just one example of a plethora of moments on these five tracks that cause a truly emotional reaction. When I get that from this style, then I know it’s good. It must be visceral. The soundscape the New South Wales quartet have painted might very well be the soundtrack to the above short fictional story. Hopelessness after valiant effort. Pain and destruction. This is an album to be felt in your inner being. Bravo!